Our adventure started at 9 PM on Friday. We all gathered at Carrie’s apartment to wait for the shuttle to bring us to JFK. Jama arrived to bring us snacks for the plane and books to bring to the Batey. The ride to JFK was long but relaxing. When we got to the ticket counter, nobody was there, so we hung out and slept on the airport floor. At 3 AM, we checked into our flights and checked baggage (a backpack for me). We all got small breakfasts and boarded the flight. After three hours of sleeping like a rock, we landed in Santiago, Republica Dominicana! We went through customs and met Dana Henderson, Yspaniola’s Local program manager, along with Chelsea and Emma, two Princeton Fellows, outside the airport. We crammed into a van and drove to our hotel, Hotel Colonial. We dropped our luggage and hit the road. 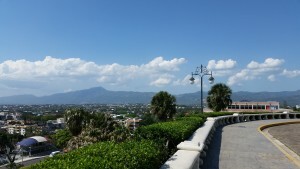 We walked a little ways to exchange money, 50 USD exchanged to 2200 pesos. Then we walked back to get lunch at the Chinese Restaurant (not Chinese- just Dominican food). I had pollo gizado (stewed chicken). After lunch, we went to the Carnival de Santiago exhibit and saw amazing masks and costumes from Carnival. Then we saw the fortress with amazing artwork, guns and swords. We finally climbed to the top of the monument to see an aerial of Santiago. So beautiful! The mountains in the distance were spectacular. Then, we got yummy coconuts on the street. We drank the coconut water and ate some meat from the coconuts, too. We took much needed naps when we returned to our hotel. We woke around 6 PM and left for dinner, hiking up to the monument area to eat. We had delicious plantains, rice, chicken, French fries, yucca, arepas and red soda. Eating outside was so peaceful as well. We walked back and stopped at YogenFruz for ice cream. The first day was delicious, warm and exciting! The next morning we all woke up incredibly refreshed. We all had a nice breakfast of passion fruit juice, sweet coffee, toast with jam, ham, eggs, and plantains. 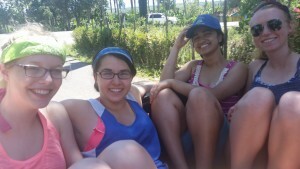 Then we all tied our luggage to the top of the van and piled inside for the long journey to Dajabón. We bumped up and down the highway, taking in the beautiful scenery and mountains that whizzed by. The time was passed by creating slow motion videos, playing music, telling crazy stories, and attempting to rap. After an amusing two hour drive, we finally arrived in Dajabón. 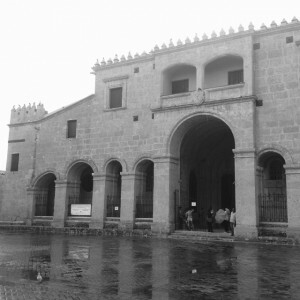 Dajabón was definitely smaller and less bustling than Santiago, and we really stood out. It was hard not to notice a group of 12 Americans loudly speaking English while walking down the street. For lunch, we went to a restaurant called Dona Pura’s. We had been looking forward to this meal for weeks, as it was hyped up by our travel leader during our first meeting of the semester. For lunch, we had chicken, beans, rice, fresh fruit juice, salad, eggs and my personal favorite…fried cheese. Some of us were even brave enough to try the hot sauce…which didn’t end too well. 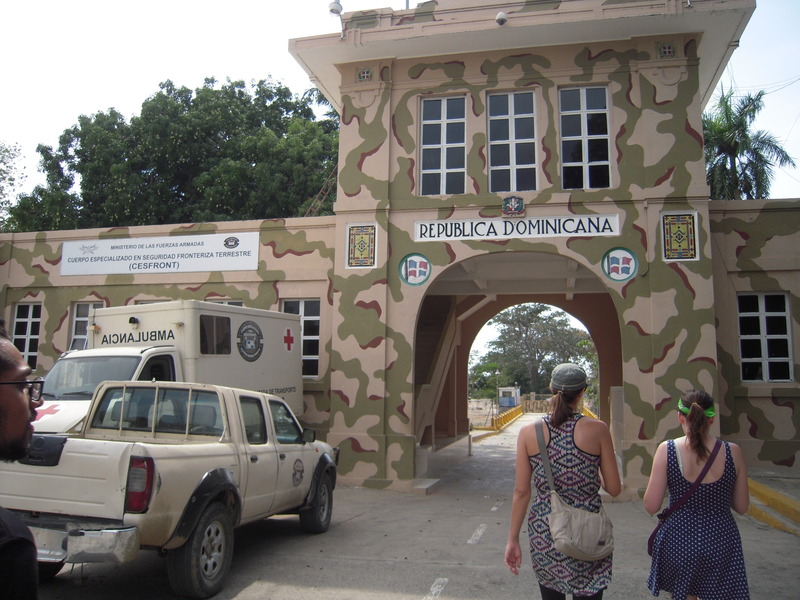 Then Dana, Yspaniola’s site leader, took all of us to see the old and new border between Haiti and the Dominican Republic. First, we went to the old border, which was completely shut down. We had to ask the armed guard at the gate permission to pass under the archway and onto the bridge. A gated wall split the bridge in two. Looking down from the bridge, we saw many people washing their clothes in the river below. 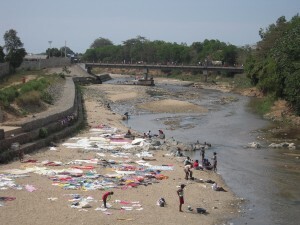 Their blankets and clothes were laid out next to the river making the beach look like a checkered mosaic. There were pigs, goats and children running around in the water. Some of the poorly clothed children climbed up on the bridge and were shouting at us through the gate asking for money. Even though we were told that there was a real town beyond the horizon in Haiti, it was still sobering looking down at the border, and the dirty, small river with trash sprawled on the beach. The new border was very similar to the old border, except that there were many people lined up on the Haitian side of the gate waiting to get in. Every person that entered had to answer to a few guards to pass through. Most of the people were bringing in their goods to set up for market day. After taking in the border, we had free time in the afternoon. 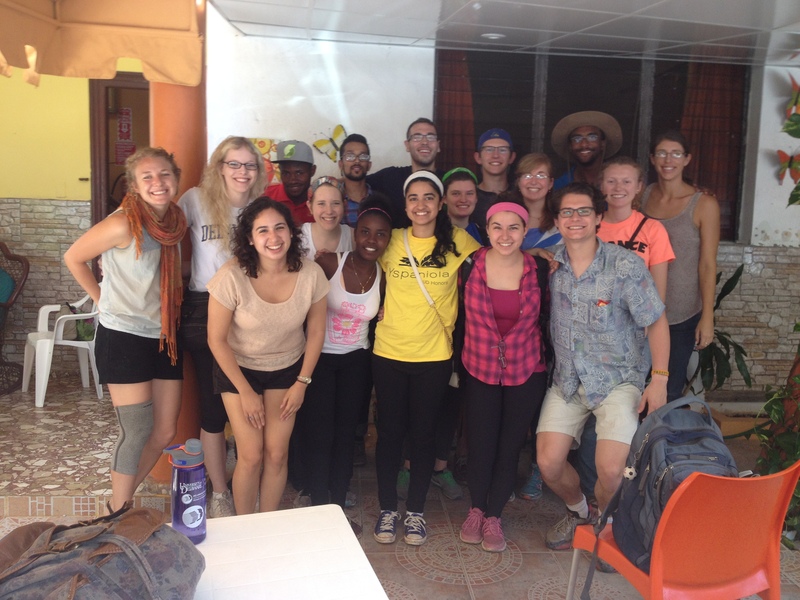 The whole group took this opportunity to explore Dajabón. We walked around the town and finally found ourselves at a small park with a basketball court and a gazebo. Some of the boys played basketball with the kids there, and we got a chance to talk to some of the children that lived in Dajabón. Some of the children that we talked to had come over from Haiti and were now homeless. Others had injuries that really needed medical attention. They weren’t in school and had no one to care for them, which was really sad to see. In a few days we would be returning to the US and they would still be in Dajabón living on the streets. At night, we all went to dinner and then afterwards got ice cream at a shop on a corner. We stood outside of the quaint little ice cream store talking, dancing and thinking about what it would be like to go to the Batey tomorrow. We were all nervous with anticipation, but excited to see what the next few days would hold. I don’t know about anyone else, but I could tell Monday was going to be a great day when we started off with a breakfast that included peanut butter. 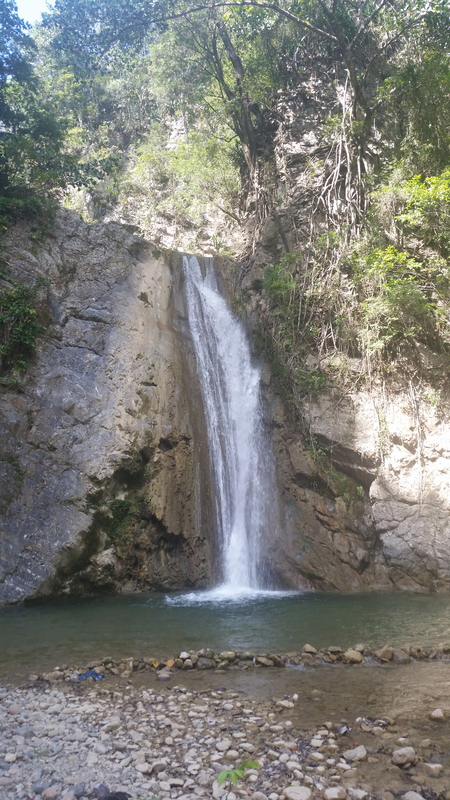 After we had our fill of bananas, peanut butter, bread, and delicious street vendor empanadas, we headed for the border between Haiti and Dajabón to watch it open for the market. The international market, which just opened a few years ago, allows both Haitians and Dominicans to sell their goods, and market days (Monday or Friday) are the only time when Haitians can cross the border freely with no issues. When we reached the border, we saw masses of people crowded behind it, either prepared with their intended goods for sale and carrying ridiculously heavy loads, or just anxious to get some shopping done. As soon as the border opened, they flowed in like a stampede; we stood there watching for at least ten minutes and the crowds just kept coming. After that, we broke up into smaller groups and prepared to enter the craziness of the market. 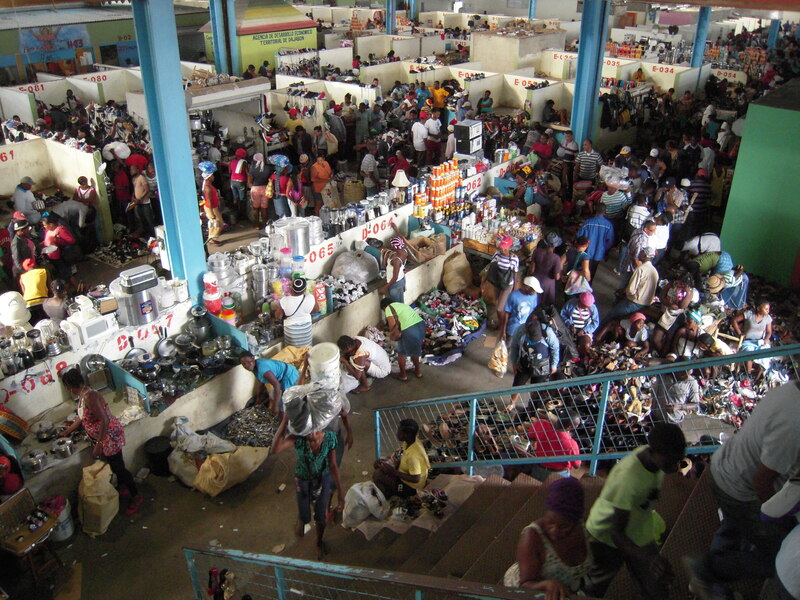 The boys were warned to physically hold their money in their pockets and the girls were warned to keep their purses close, as pick-pocketing is extremely common and easy to get away with because of the crowded nature of the market. Trying to navigate the market was definitely an experience; the rows between vendors were narrow and I’m pretty sure I almost got run over by a large wheelbarrow-looking type thing (that vendors used to transport their goods) at least ten times. Products sold at the market range from clothes and shoes to furniture to electronics to food. I ended up purchasing a pair of Toms for the equivalent of five dollars, which made the bargain-hunter in me super happy. Unfortunately, I had to learn the lesson of pick-pocketers the hard way. I had been carrying the trip camera (for the blog—sorry Jama!!) in a small bag on my waist, and after checking on it for the fifth time, I realized that the zipper was open and the camera was gone. Upon seeing the empty bag, I was kind of in a state of shock—how could I not feel someone unzip a bag so close to my body?? Word for the wise: carry as little as possible if you ever plan to walk the international market. After about 45 minutes of haggling and weaving through an insane obstacle course of people in the heat, the market became a little overwhelming, and my group decided to head back to the hotel. After a little bit of free time, when most of the group hung out with some of the local kids at a park down the street from the hotel, and a much needed nap, we headed for Dona Pura’s for lunch once again! Pineapple juice, fried cheese, and rice & beans were exactly what I needed to re-energize myself for the afternoon trip to the Batey! 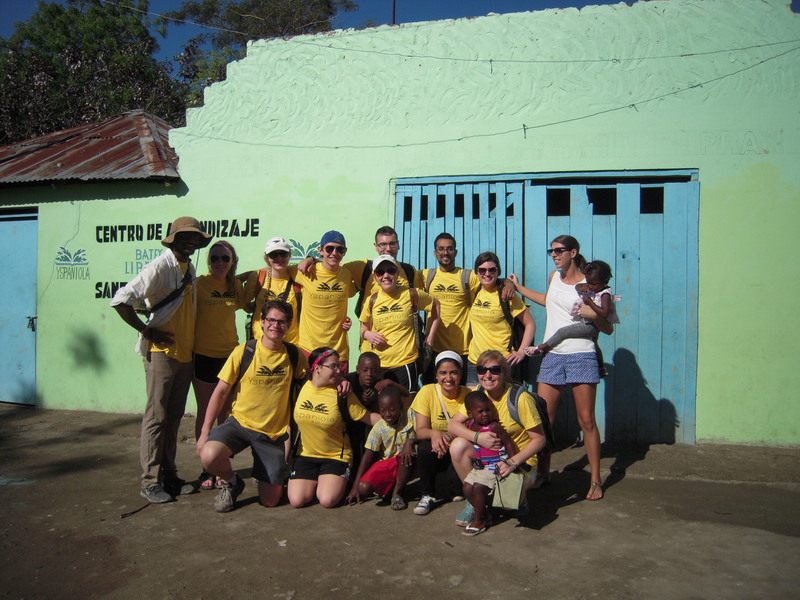 We left Dajabon in the afternoon and headed for Batey Libertad. As I sat in the car, I had no clue what to expect. In fact, I was feeling a little nervous. 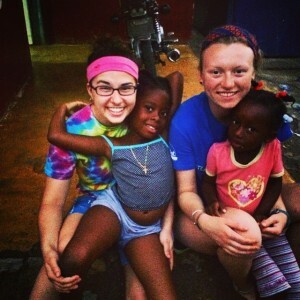 How do I act in front of the residents of the Batey? What if they say something and I cannot understand it? We were dropped off on a dirt road near a big empty field, which we later learned was called “The Play” as it was used to play sports. We were then introduced to some of the members that lived in the Batey and were involved with Yspaniola. Small kids took notice of our arrival and instantly started gathering around us and wanting to play with us. 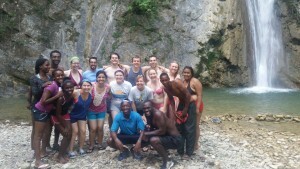 They held our hands, asked our names, and never left our side as we took a tour of the Batey. At first, I felt slightly uncomfortable at how the kids always wanted to hold my hand. 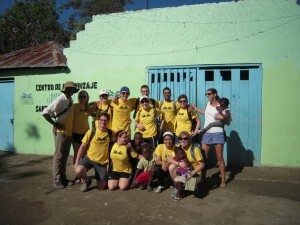 Next, we were led to our houses and introduced to our host families. The parents only spoke Creole, but their kids spoke Spanish. Later that evening, the kids in the Batey played a soccer game on The Play and I tried playing as well, but they were just too good. After the soccer game, I headed back to my host home for dinner. It was very surprising to see the limited resources they had to make food. In fact, this entire day was a big culture shock as I saw how little the people had in the Batey compared to me in the United States. Today we woke up in our respective beds and rode in a truck to the banana plantation neighboring Batey Libertad. We walked up to a building structure without walls whose roof covered two large wash bins. Dozens of hooks for hanging bunches of bananas dangled from the beams; their straight lines emphasized the linearity of the structure’s columns. The planation is very methodical. It uses an irrigation system of visible, above-ground pipes to supply water that supplements the rain as needed. A system of colored ribbons tracks the 10 weeks of fruit growth for each tree. The workers tie plastic bags filled with insecticides to the trees just before their stalks branch out. It takes forty years for a banana tree to grow each stalk. The placement of the pesticide in thisvicinity is designed to keep the chemicals away from the fruit. 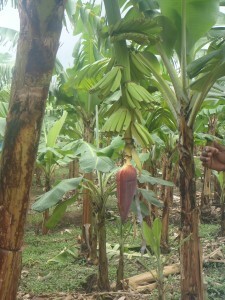 The quality of bananas grown is divided into three categories. Premium bananas exceed eight centimeters in length and have no marks on them; they are sent to European markets. The second group, which is also sent abroad, consists of bananas that do not have marks, but are less than 8 centimeters. Bananas, which do not meet these European standards but are still good to eat, make up the third and final category. They are sold in local markets in the Dominican Republic. After ascending a set of stairs to reach the top of the building, we took in a breathtaking view of the tops of the banana trees. Each stood tall amongst the curtain of fog that shifted with force of the wind, wind that sent raindrops forcefully downward to meet the ground at our feet. From above, it was clear just how much work each employee must put in to make this type of production possible. 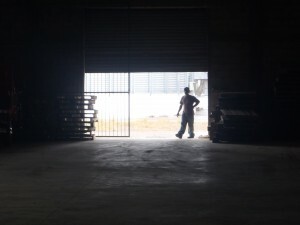 The plantation has ten permanent employees but with temporary workers it averages that only twenty-five people work on this massive amount of land each day. 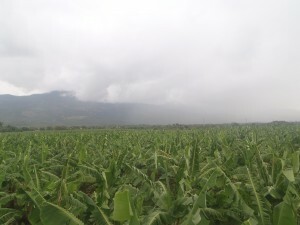 Viviana, one of the Princeton Fellows that works for Yspaniola, noted that the children in the Batey do not grow up wanting to work in the banana plantations. My mind wandered to thinking about my host brother. He wants to be a doctor. I believe that in the U.S., his intelligence and resourcefulness would make it possible for his dream to become a reality. Here, I am not so sure. I am afraid that his dreams will be forced to linger just below the tops of the trees like the fog in front of me and then dry out in the sun. His capacity for greatness astounds me. I hope his hands never know this type of hard labor. Walking along the paths into the green growth, we had the opportunity to taste the fruit of a cashew tree. The first bite instantly dried out the sides of my mouth and tongue. There is a reason why this fruit is not that popular in my opinion. 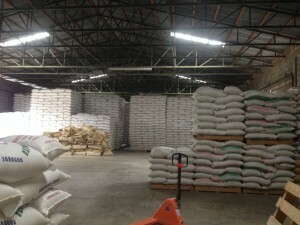 Next we headed to the rice factory where we saw machines that completed tasks such as removing grit, shelling the rice, burning the shells, and bleaching the rice to clean it. Machines harvest the crop in the fields and horses drag it back to be processed. Standing there, shifting a handful of grains in the palm of my hand, I felt small…like one of the specks of rice among the millions of grains. They are all packaged and stacked in towers that dwarf us all. The rain continually pounded the pavement outside, and the whiteness of the sky sent dreary light into the massive space of rice skyscrapers and glistening metal. Later in the day, we spent time creating resources for the learning center. We worked on sticker charts, repairing books, and contact papering Spanish words for the center’s “word wall” of commonly misspelled Spanish words. At 4:30 pm, we met with the Executive Director of Yspaniola, Jon DiMaio, to learn about Yspaniola’s mission to create a high quality educational program and its theories of change. 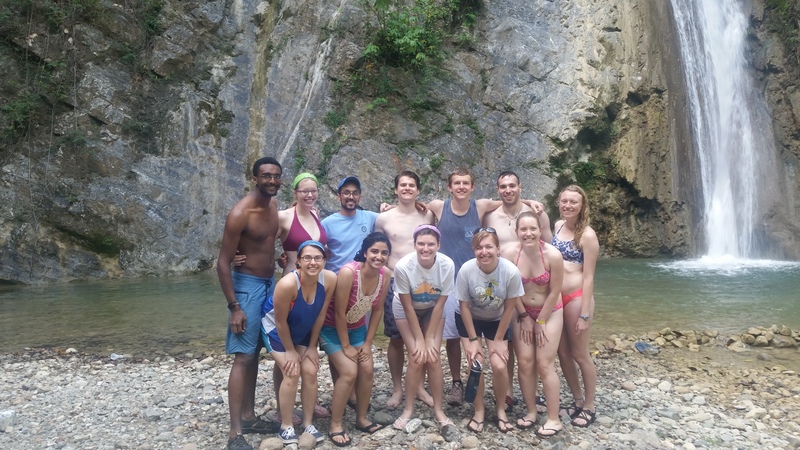 A group of students at Yale who had taken trips to Bateys in the Dominican Republic originally founded Yspaniola as a university scholars program. They soon realized that a lack of funds for college is actually one of the last barriers to a high quality education for students here because many children get stuck behind earlier roadblocks. They identified the need for education resources to supplement the public education system for levels pre-K through high school. With teachers in short supply and a lack of qualifications and training for those who teach, the education system falls short. Some students are still being pushed through grade levels without ever mastering reading skills. 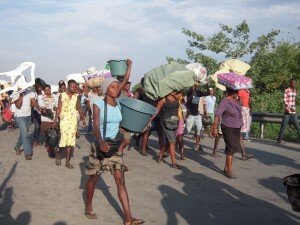 Another huge barrier is documentation for Dominicans of Haitian descent living in the Batey. They are denied basic human and civil rights because they do not have the records to prove their citizenship. Often, schools kick out young students who lack paperwork. Yspaniola tries to prevent local schools from denying education to individuals on this basis. Also, even if a student manages to make it through the high school level, they cannot attend a university without documentation and funds. They become trapped in a cycle of poverty, limited to non-contracted construction and agriculture work. 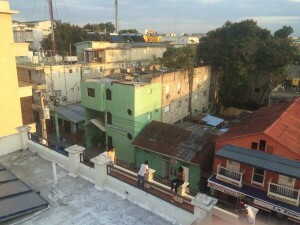 The Dominican government conducted raids as well to deport Dominicans of Haitian descent without papers. Government officers often yield this power of deportation to make money from those who can pay to avoid deportation. Everything is based on the color of your skin here, no questions asked. Yspaniola hopes to develop its own legal team to document and challenge the denial of citizenship in the country first at the local, then national and international level. Outreach to citizens of other countries is another aspect that the organization focuses on. 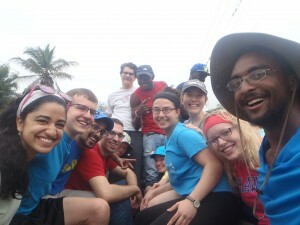 They want North Americans to learn about the struggles people living in the Batey face and residents to learn about the world outside their communities. My favorite part of Jon’s talk was learning about the big picture of why Yspaniola exists. What started with tutoring hours and then became a learning center is now also helping to challenge threats to civil rights. The goal is to educate young students here to create local leaders who have the education needed to create change in their own countries. The hope is that these students can obtain higher status in society and use their gains to better life in the communities from which they originated. 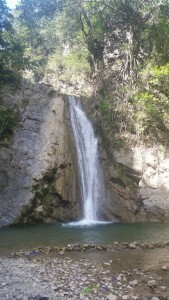 Yspaniola hopes to generate a strategic system in Batey Libertad, which can then be implemented in Bateys throughout the Dominican Republic. 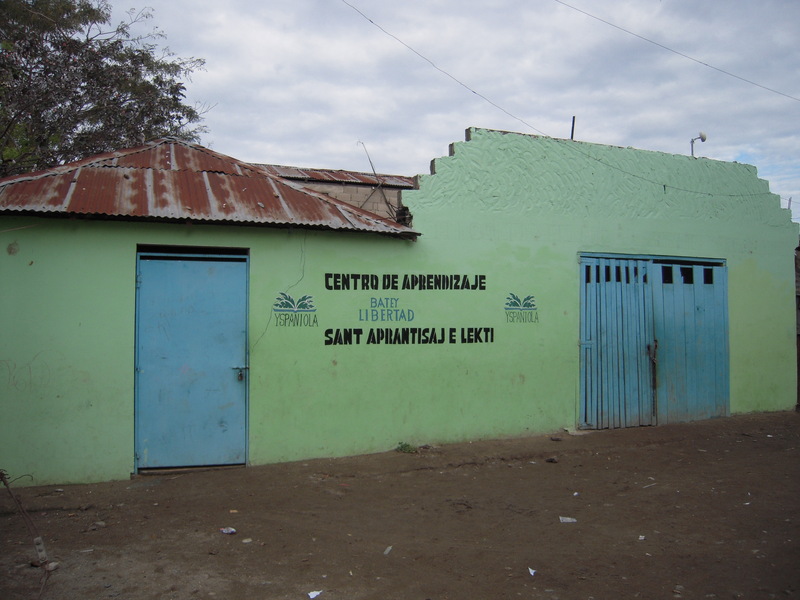 In five years, Jon hopes the program will be developed enough that the organization can extend to at least one other Batey. At night, we all went to reading hours in the learning center where we sat on the floor and at tables, surrounded by bright minds practicing their Spanish reading skills. We all bonded a lot with the children. We ended the night by listening to the music of the Dominican Republic and learning the local dances. 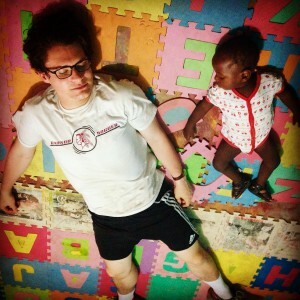 Most of us stumbled through the dirt paths in the dark to reach The Play where residents play soccer on a daily basis. The field is a gathering spot for children of all ages at all times of the day. With the full moon directly above our heads, I felt especially thankful for the quality of education I grew up with in the U.S. The knowledge of the Spanish language which most of us obtained in a classroom now made it possible for our group to discuss the cultural differences between the U.S. and the Dominican Republic with Batey residents. Every now and then someone would raise their hand up towards the sky in awe. I was reminded again no matter how different the lives people live, we can all look up at night and see the same stars. This morning I awoke to the sound of the vegetable cart man driving through town and advertising his produce to the citizens of the Batey. This has been standard procedure since the first day here, and appears to be part of the daily routine. Breakfast was hard-boiled eggs and mashed potatoes, which are actually two of my favorite foods, although I’ve never eaten them for breakfast before. 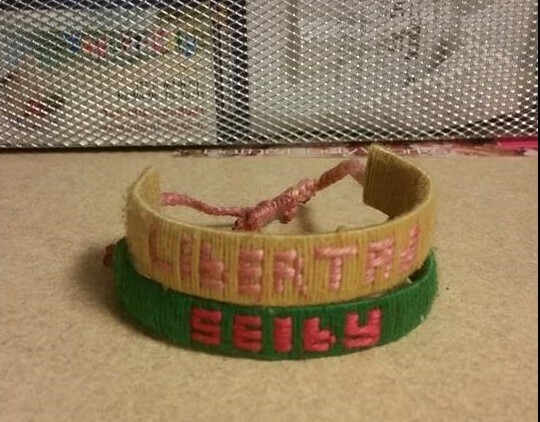 After breakfast someone stopped by with our bracelets, which will be great souvenirs to have later to remind us of our time in the Batey. This morning it was my turn to observe in the Learning Center and see what the lessons and activities are like there. Since my mom is a teacher, it was interesting to see what learning techniques are used and to see the kids be so engaged in their education. They all seemed excited to learn, and I was amazed at the patience of the learning center teachers. Holding the attention of so many children and getting them to sit quietly and learn is hard work, but they seemed to handle it with ease. After observation, I worked on resource creation, where we put together books and covered them in contact paper. If there’s one skill I learned on this trip, it’s how to successfully apply contact paper! When resource creation was over, a representative from an organization called Deportes Para la Vida came to tell us about the program and lead us in some example activities. Deportes Para la Vida is a program that educates youth about STDs and prevention through games with meaningful messages. The game we played was called “pase la pelota” (pass the ball). We were divided into two teams and stood in lines across from each other with our arms behind our backs. The point of the game is for one team to pass the ball behind their backs, and when the leader calls “stop,” whoever is holding the ball must keep it and the other team has to guess which person has the ball. It was hard to guess just from looking at somebody whether or not they had the ball, and this is supposed to teach people it’s hard to tell from someone’s appearance whether or not they have HIV/AIDS. This is a very important lesson since there is a stigma that you can tell just from looking at someone if they have HIV/AIDS. It was fun to participate in an activity like this and see first-hand how Deportes Para la Vida works to educate youth in the community about STD’s and sexual health. After the presentation, we ate lunch to fuel up before our trip to El Chorro (the waterfall)! Sarah and I ate rice and meat cooked in a yummy sauce. One of my favorite meals in the Dominican Republic is meat, beans, and sauce mixed in with a huge mound of rice. It sounds so simple, but it’s really delicious! Jon and his friend Domingo joined us for lunch. It was really interesting talking with Domingo because he had a lot of insight on the politics and history of the Dominican Republic. I’m in a Latin American politics class and a Caribbean history class, so it was enlightening to hear a new perspective on the events and concepts I’ve been learning about this semester. Next came, the event many of us had been waiting for, the visit to El Chorro! Due to the rain we’d been seeing earlier in the week, we were worried the weather wouldn’t be nice, but it was a sunny, pleasant day. About half of us loaded up into the back of a truck, and the rest traveled in a van. The scenery on the way was gorgeous, with mountains in the background. It was nice and refreshing to ride in the open air! We were dropped off near El Chorro, but the vehicles could only go so far, so we had to walk the rest of the way. The hike was only about 30 minutes, but climbing over rocks and through water while wearing flip-flops was definitely a challenge! After the hike, we got to cool off in the water. Trees shaded the area, so the water was really cold! I didn’t stay in for long because I couldn’t stop shivering, but the water did feel really good after the exhausting hike. The waterfall was fairly small but really beautiful, and the area around it was incredibly peaceful. The rocks surrounding the waterfall had some outcroppings, so some of the people in our group decided to try and climb it. We stayed at the waterfall for a little while and ate some snacks before the hike back. Dana is the best and brought snacks, including saltine crackers and cookie sandwiches that I’ve fallen in love with since arriving in the DR, but they weren’t Dinos, which are my favorite solely because they are cookies with little dinosaur faces on them. Before heading out we took plenty of group photos in front of El Chorro, and then it was time to hike back. While hiking towards the back of the group with Vaishnavi and Eric we…may have gotten a little lost. Our savior was a Victoria’s Secret bag abandoned in the creek that reminded us what direction we had come from on the way there and where we needed to go in order to get back. 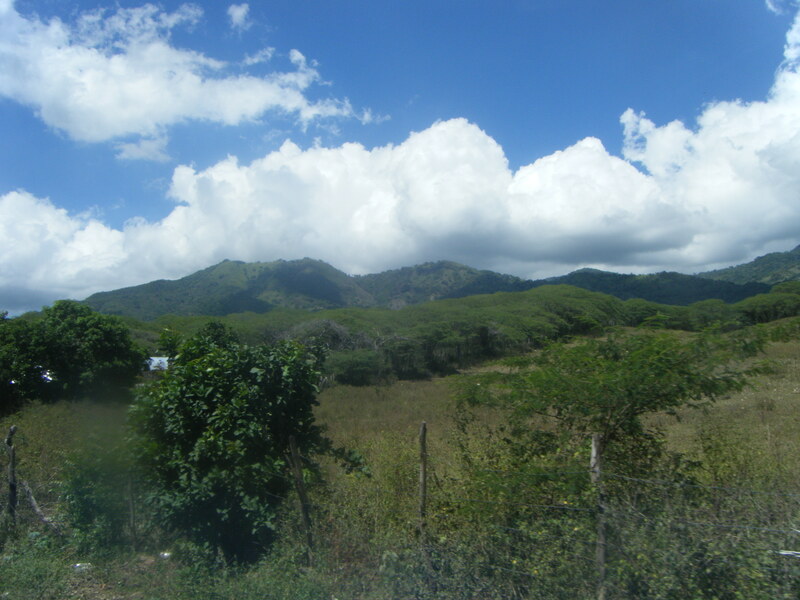 After emerging from the woods and hiking up a steep hill in the scorching sun, we rode back in the truck and watched the beautiful mountain scenery recede behind us as we made our way back to the Batey to start the second part of our day! When we arrived back at the Batey, we had the opportunity to visit with the vodou priest. We entered the dim surroundings where the vodou priest resided. Murals of Catholic priests surrounded the walls, and two skulls nestled in the middle. We progressed into a smaller room where the rituals took place, which was full of assorted objects. A deck of cards, various potions, and dolls were some of the few things that caught my eye. The vodou priest sat in the corner with long dreadlocks, waiting for us to all settle down in the benches before him. He then began explaining his beliefs in Creole, with a two-way translation following in Spanish and English. He said there were spirits involved, bad spirits, and various traditions that have been passed down through generations to battle such forces. For example, he explained the significance of various color flags for different days of the week that appease various saints. He took questions quite earnestly, ready to answer whatever we asked. Experiencing a belief system so unfamiliar to me really pushed me to observe with an open mind. Much pop culture showcases vodou with misinterpretations, and such false notions can severely impair understanding the world as it truly is. In the evening, we went to the Resource Center to read to the kids- one of my favorite parts of the trip. Every child that I read to has always been so eager to have someone read to them. Even though they corrected my pronunciation a few times, making me a little self-conscious, I was amazed at their sincerity. They truly wanted a chance to learn Spanish and immerse themselves into their education. One child really loved learning about baseball, and only chose books about David Ortiz or Babe Ruth. I was pleased that he had a passion, and that his life was not completely eclipsed by his socioeconomic status. A child’s innocence and potential is always a comforting thought, and with that awareness the day was over. I awoke on the sixth day to sunlight streaming through the mosquito net onto my face. After a night of restlessness stemming from the excitement of the night before, I was reluctant to get out of bed. However, once the aroma of scrambled eggs and fried cheese wafted through my room, I bolted into the kitchen. I was greeted by the perpetually smiling faces of my host family and quickly scarfed down my delicious breakfast. After waving goodbye to my host family for the day, I ambled over to the Women’s Empowerment Center for a session of resource creation. I rendezvoused with the rest of the gang and we got down to work. Today, we were cutting out letters of the alphabet for the teachers to use in the Learning Center. After we cut them out, we were instructed to “contact paper” the letters. Basically, this was a form of lamination from what I understood. Now, this instruction went way over my head so I diplomatically delegated the task to someone else and before I knew it, we were done and ready to move on. The next event for the day was a rice-eating contest. This contest had been hyped up since before we ever left for the Dominican Republic. Compounding this, all of the guys in the Batey had been egging me on throughout the week to win the all-important competition. So, with my ego being as fragile as it is, I walked towards the heaping platters of rice with the weight of a nation on my shoulders. As a large American who is no stranger to eating ridiculous amounts of food in one sitting, I made quick work of the rice and returned home for lunch to gorge on even more delectable food. As I walked into my home, I was greeted by Jon, the Executive Director of Yspaniola, who was making his rounds to meet every student on the trip. Through this conversation, I was able to learn about all of the amazing things that the organization does for the Batey. It was truly inspiring to hear about how Jon has been able to rapidly expand his organization’s footprint in such a transformational way. After sharing lunch with Jon, Jayesh and I walked over to the Learning Center where we all conducted reading hours with the children. 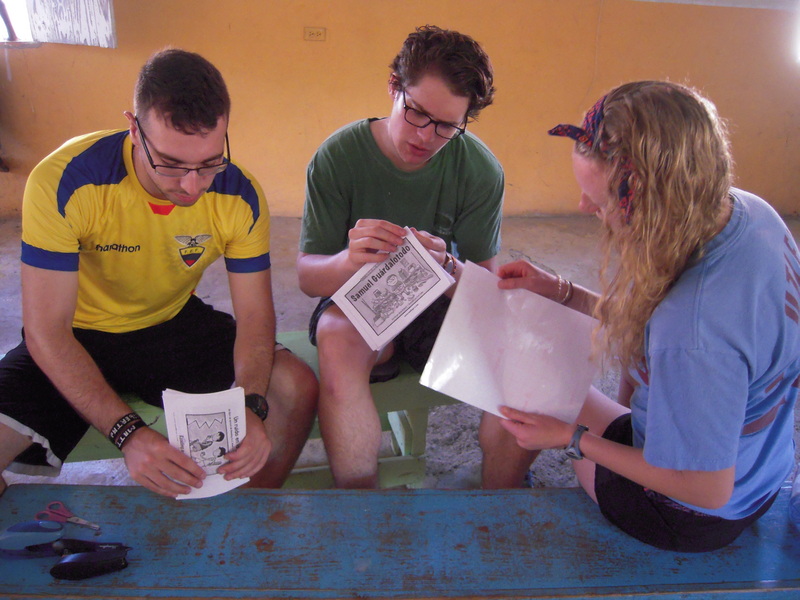 Illiteracy is a huge issue in the region, particularly amongst residents of Bateys, so it was vital that we put the appropriate amount of time and effort into reading development. We all had a blast spending time with the kids and I even got to read “Tikki Tikki Tembo”, which is one of my childhood favorites! 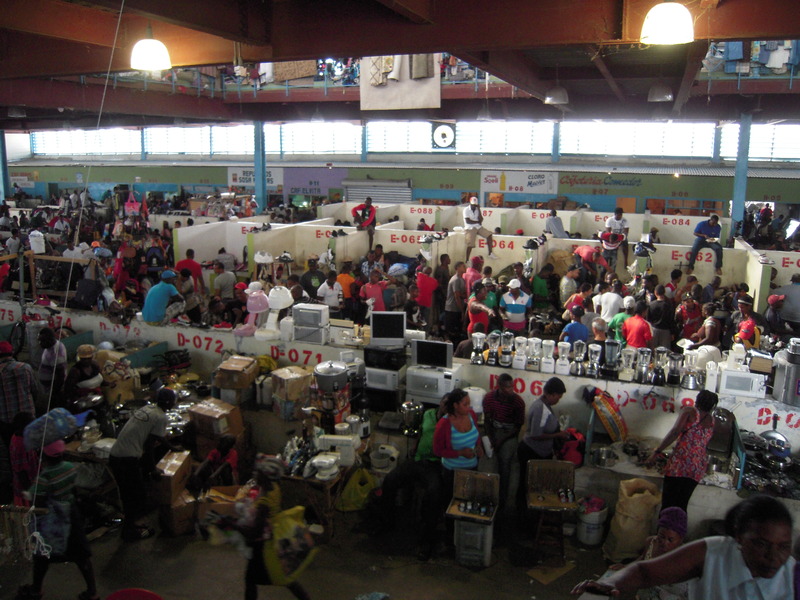 A few members of the Batey were kind enough to host a souvenir fair so that we could bring home gifts for our families and friends. In hindsight, I might have spent too many pesos at the shop but it was well worth it nonetheless. We were even able to purchase CDs recorded and produced by members of the Batey and after listening to it a few times, I can confidently assert that it is the hottest mixtape of 2015. We closed out the night with a going away party that the Batey organized for all of us. It was a perfect ending to an incredible stay and we were all extremely grateful for the love and hospitality exuded by the members of the Batey. After the dancing and music died down, a few of us hung around the Play for a little while longer and then left for our individual homes. 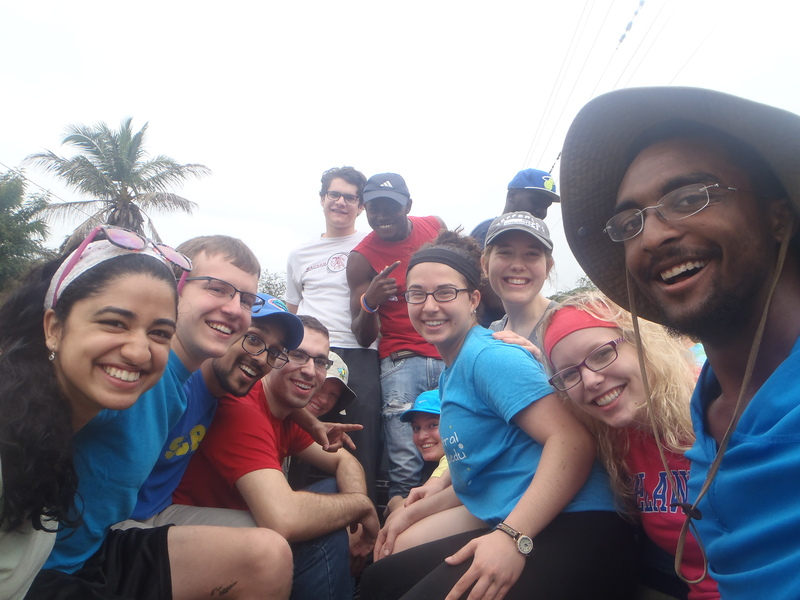 It was difficult to internalize that we would be leaving the Batey the next morning, but we all knew that we had made the most of our time there and slept peacefully with that in mind. When we woke up on Friday morning we still had last night’s laughter on our breath. We ignored it for as long as we could yesterday, but today we had to face the fact that we were leaving Batey Libertad. We ate our final breakfasts and said goodbye to our respective host families. 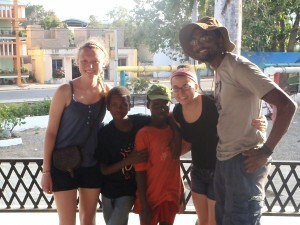 We reluctantly made our way to the vans that would take us to Santo Domingo and said goodbye to our newly made friends. 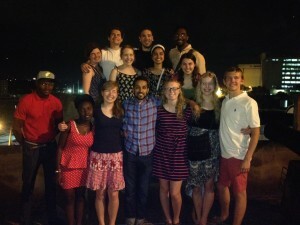 We were happy to have made such a great group of friends but sad to leave them so quickly. The vans took off, and after about three hours of bumpy sleep and longing stares out the window, we arrived at Hotel Residence with stiff legs and sleepy excitement. 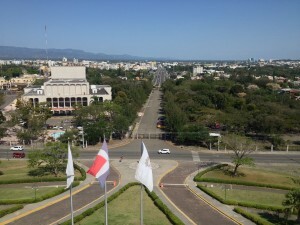 We took a moment to rest and settle in our respective hotel rooms, and set out through the streets of Santo Domingo for lunch. We all realized how hungry we had gotten during our day of travel. After a filling and delightful meal, we explored the colonial style streets of Santo Domingo. Before long we found ourselves in a chocolate shop, and we immediately started eating an inappropriate amount of free samples that would lead to an eventual stomachache for some. Shortly after the chocolate shop adventure, it started raining; so we took shelter in a souvenir shop. We browsed the merchandise but many left empty handed because of our lack of pesos. We returned to our hotel, relaxed, and then prepared for the night ahead of us. Before dinner we watched a parade of Dominicans dressed as Roman Centurions, which is a symbol of Good Friday and Easter. At dinner we sat together near the ocean, and laughed and reflected over a delicious dinner of crab, beef, tostones, and salad. The plates were soon clean and our stomachs were even sooner full. We walked to get ice cream because there is always room for ice cream. After getting ice cream we slowly walked back to the Hotel Residence. We made our way up to the roof of the hotel and took in the warm Dominican air. Soon we were all dancing or learning how to dance the salsa and tango. We laughed and hollered but in the back of our minds we knew this was our last night in the DR and another goodbye awaited us tomorrow. One by one we left the roof to get some rest for a big day of travel tomorrow. And like all good things, the trip came to a close. And like all life-changing events, the ending was bittersweet. Though this one felt particularly bitter. 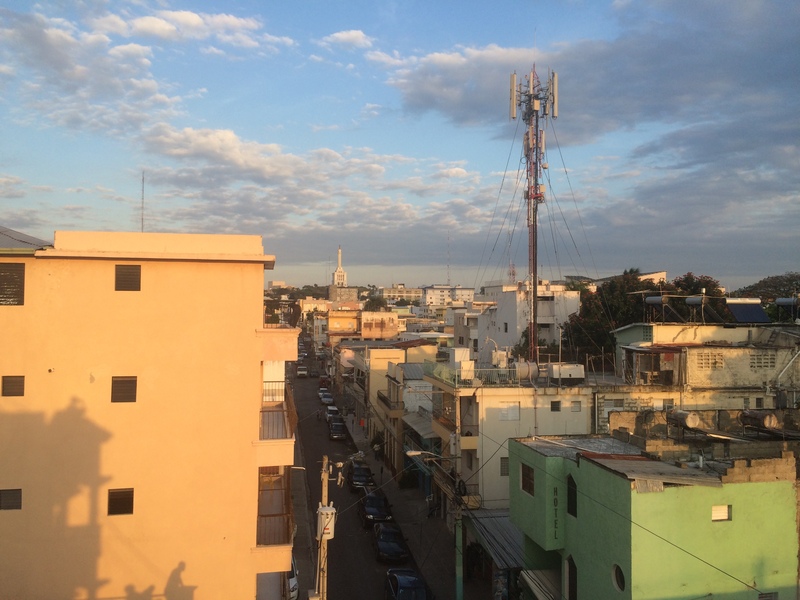 On the morning of the final day before we left the Dominican Republic, we were given the opportunity to eat breakfast with a lawyer for Human Rights Watch who supports Yspaniola. He is researching the issues of documentation in the country. It is his hope and intention that the publishing of his report will bring the injustice surrounding documentation to light. And beyond that, it will put pressure on government officials to change the law. Afterwards, we said heartfelt goodbyes to Dana and the Princeton Fellows, who graciously showed us the time of our lives, and who always will be an inspiration and reminder that there are good people in this world. On the long ride back, it was hard not think about how daunting it is to just suddenly be a college student again, and ensure my brain and my heart made it back with me to Newark, DE. Though the walk home through campus was instinctual, it felt incredibly alien. The paths here are paved and well lit. The buildings are large, impressive, and considerably less colorful. The streets are barren of wide-eyed, expectant, beautiful, and playful children. The view lacking a picturesque mountain range. The air, lacking a warmth. And not temperature, but kindness, happiness, and love. And the moon this far north stays much lower on the horizon. thus accentuating the importance that we never forget this week and these people. That we never forget all the good that can be done in the world. And that we one day, we’ll return, and remind the Bateyeros that we care about them, and that they made a positive impact on our lives. subhanallah pemandangannya indah sekali.. where is this ?